Japan Motorcycle Rentals with Full English Support! 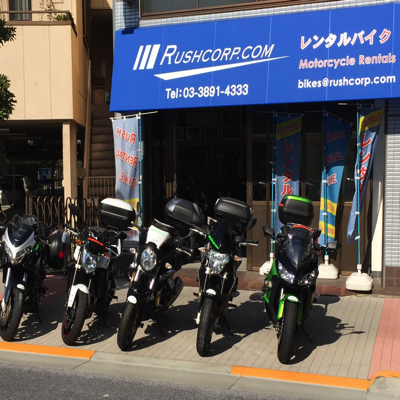 Rent a motorcycle from your Japan touring experts, and select from Tokyo’s best selection of late model, low mileage Kawasaki, Yamaha, Aprilia, Benelli and Moto Guzzi Motorcycles! Touring Packages for all you need! Add GPS Navigation, Helmets, Riding Jackets, Luggage and other gear at a nominal charge!